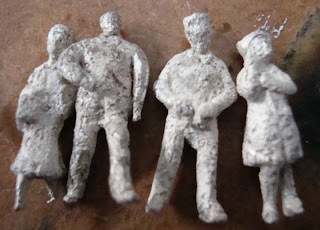 I cast plastic little people a while ago, with different degrees of success. Some were very porous and lost limbs, while others were a bit blurry. 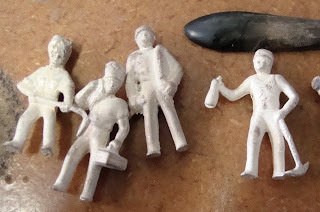 I had forgotten what brand of little people, I had used and cast a whole set of new figures... they worked out well but because of their obvious worker look they could be very restrictive... I've been trying to figure out what to do. 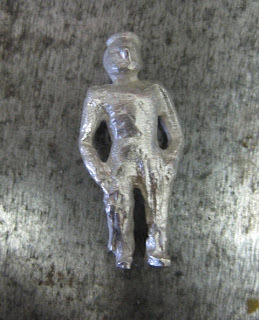 I made my own little person which has not turned out that bad, but do i now need to make lots of them or reuse that figure. 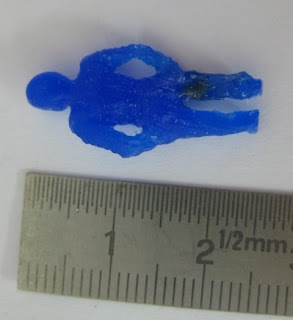 At a Masters meeting it was suggested that i use the not so successful porous figures as they are obscure yet still representative of the human form. 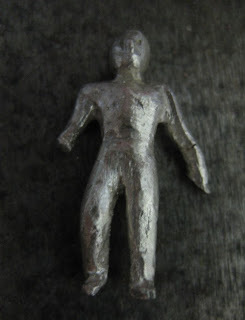 I have started cleaning it up... cut the arm off the body to make it easier, and to try get the proportion right should be easy enough to extend them when the body is ready.